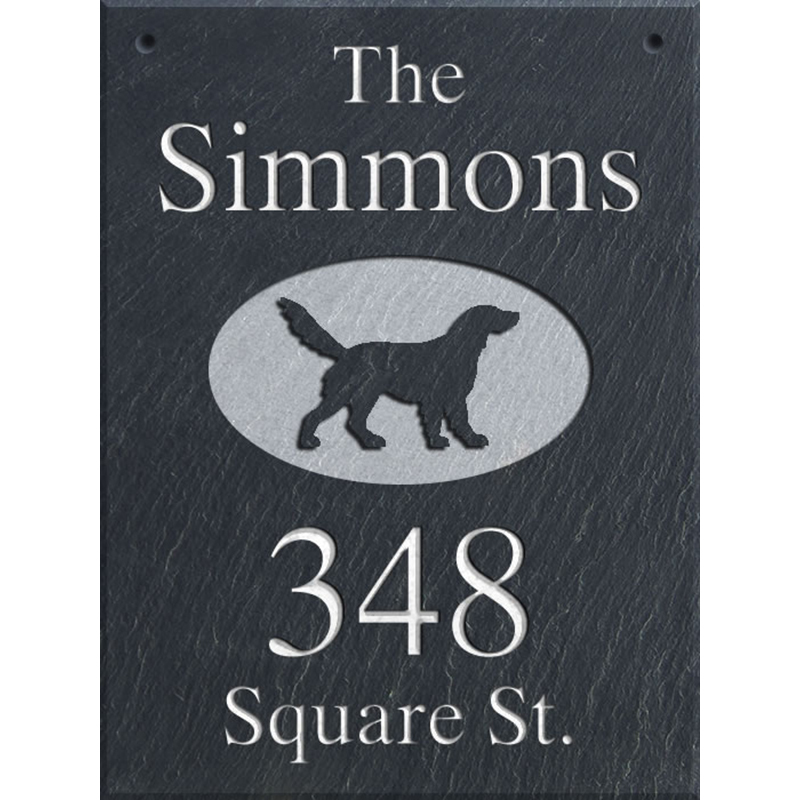 This slate address plaque is made of slate that has been quarried in the USA. 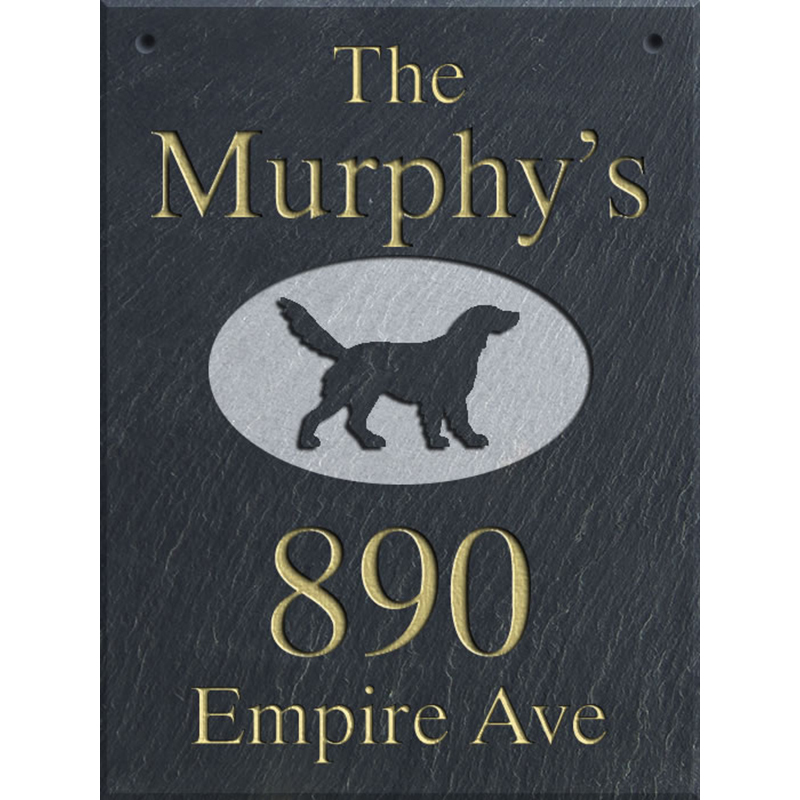 The slate is hand-cut and then is deeply carved with your name, address and customer design using a special sandblast technique. 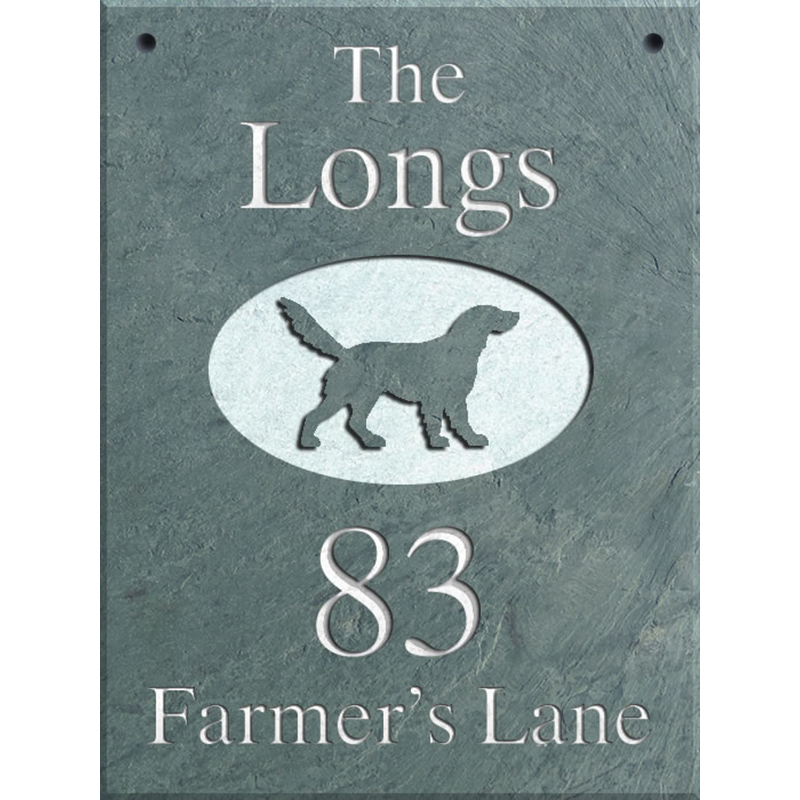 Then, it is painted with durable exterior enamels and clear coated, creating a naturally beautiful and long-lasting house marker. Made in USA. This is a stone that is quarried from the earth, not an artificial product. 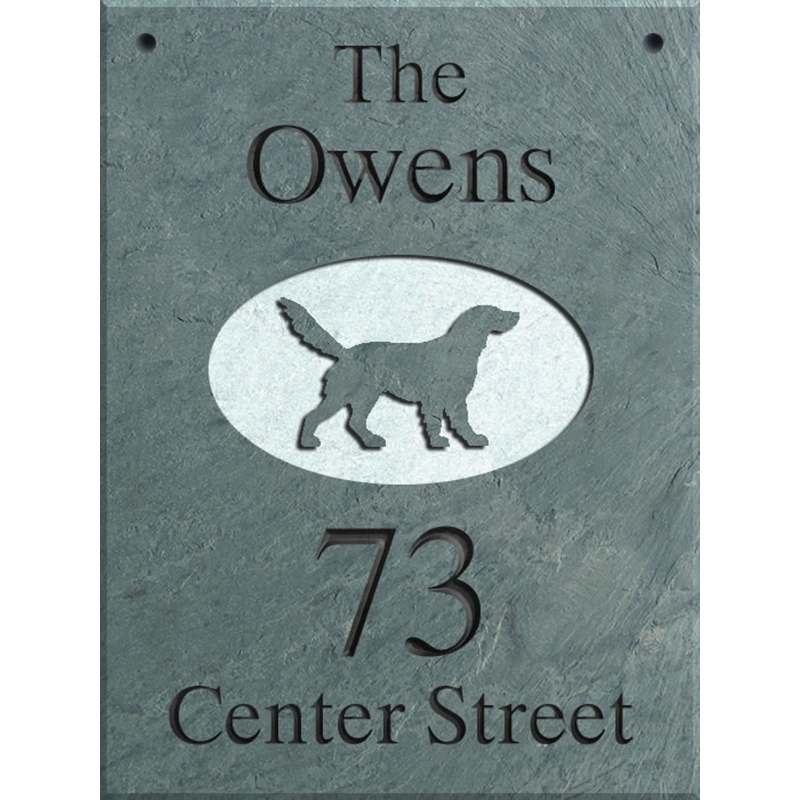 Therefore, all slates have features and color variations that give the slate its natural beauty and unique character. 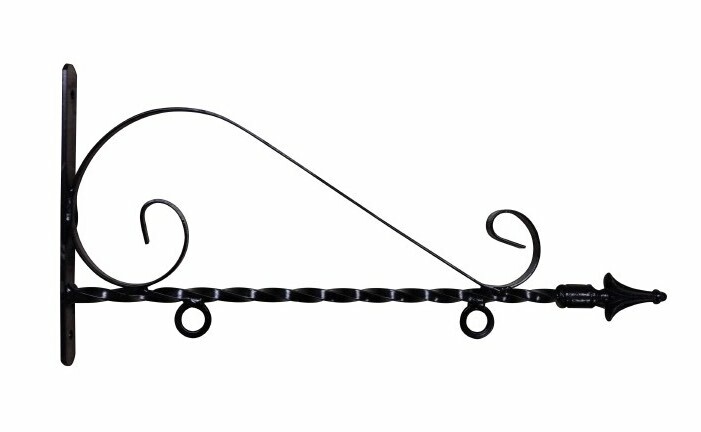 - Line 1: Says "The" in 1" characters.